Nice large sized containers for your microwave! Multiple use LaCuisine™ 10-Piece Microwave Safe Locking Storage Container Set serves as microwave cooking "pans" as well as stackable storage for leftovers. 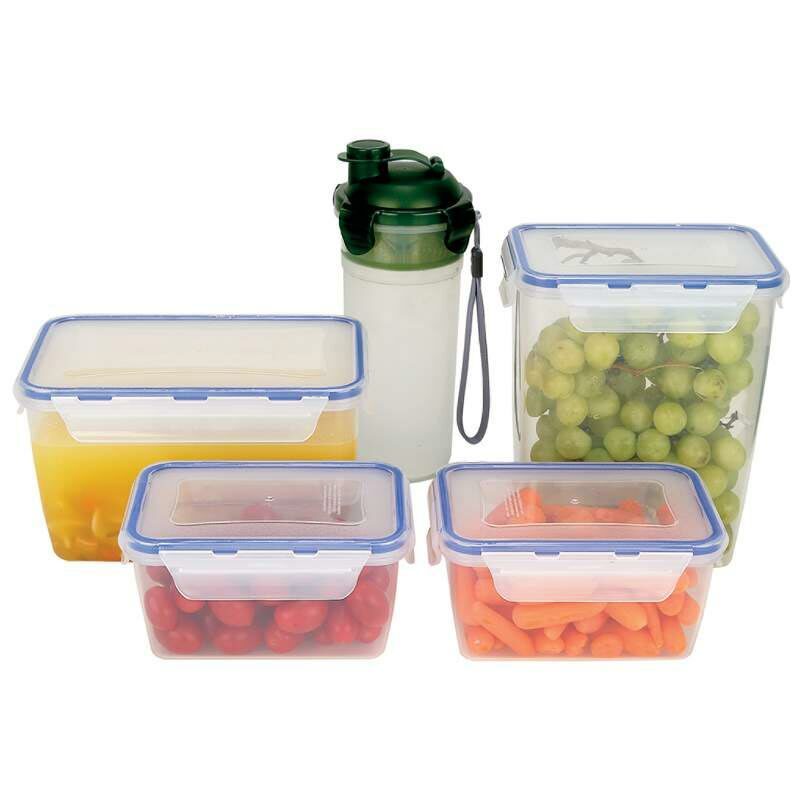 Stackable containers Save space in storage and in the refrigerator. Silicone lid seals Keep foods airtight and protect them from absorbing other flavors. Microwave and refrigerator safe Provides versatile uses for a few pieces of cookware. Locking latches Help hold lids tightly but also make opening the containers easier.